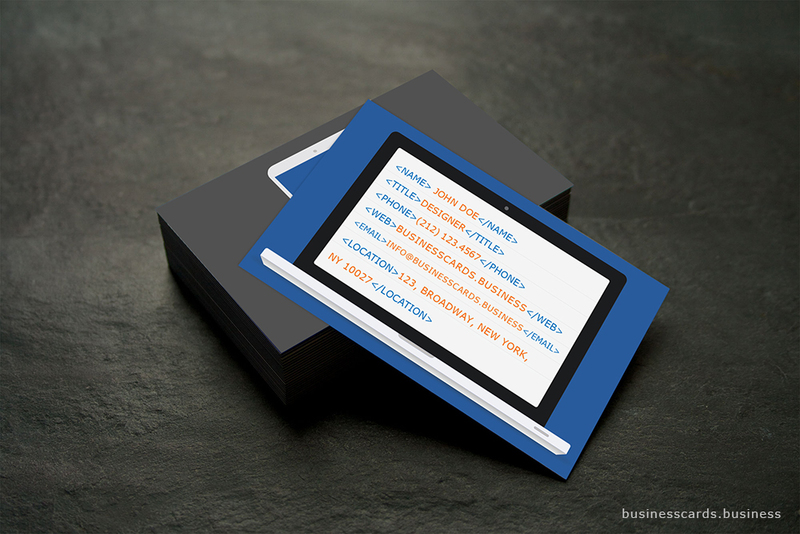 Free Programmer Business Card Template for Photoshop is a creative business card design for IT programmers and developers. 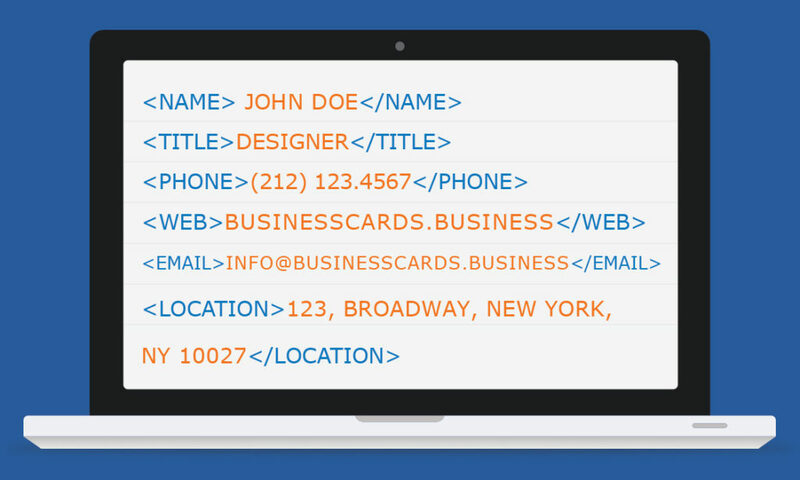 This free business card design was inspired by the markup language used in an integrated development editor (IDE). The business card design is great for programmers and developers who need to present their development services in an original format. The editor code and markup design were inspired by the Sublime Text 3 editor and it has markup code embedded into a flat MacBook Pro computer. You can easily replace the text inside the Mac display and edit the contact details with your own personal information. 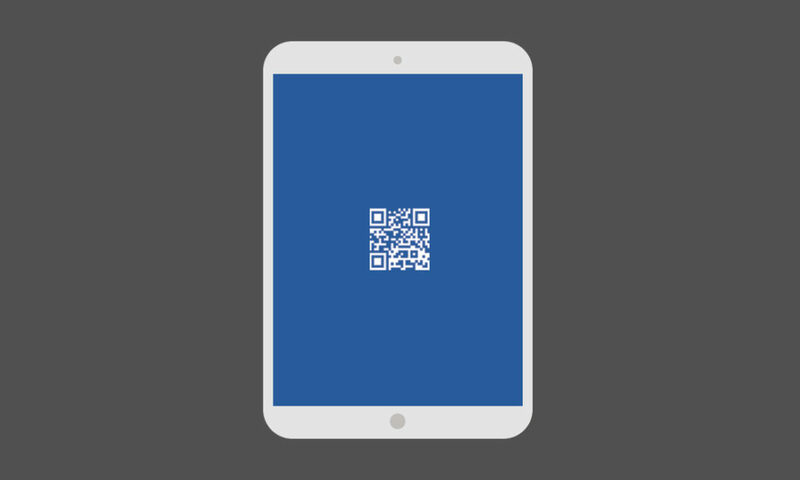 The back of this text business card contains a simple QR Code that you can generate. Alternatively you may consider to download free text business card ideas and examples.